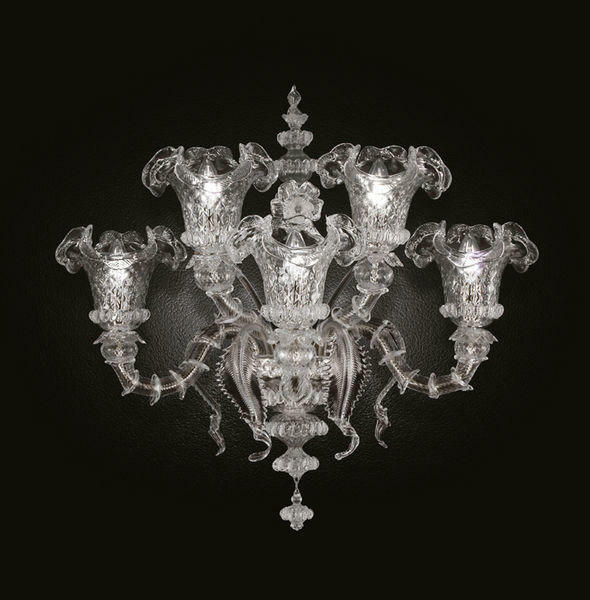 Giudecca is part of a collection of majestic chandeliers, it has been designed with the purpose of creating a lighting work suitable to enlighten large spaces. Giudecca doesn't renounce to the high quality and the preciousness of the materials. 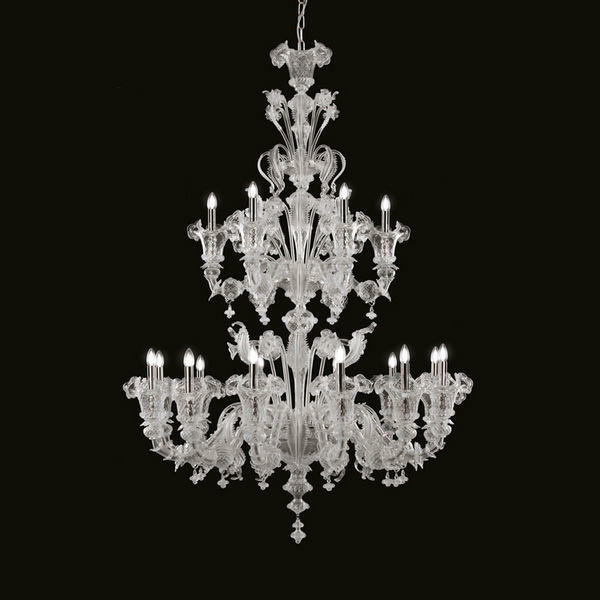 Thanks to the use of the Ca' Rezzonico structure, this chandelier can be easily customised: it can be manufactured in many different sizes, even in extra-large size. The collection includes a multi-tiered wall lamp with 5 lights.